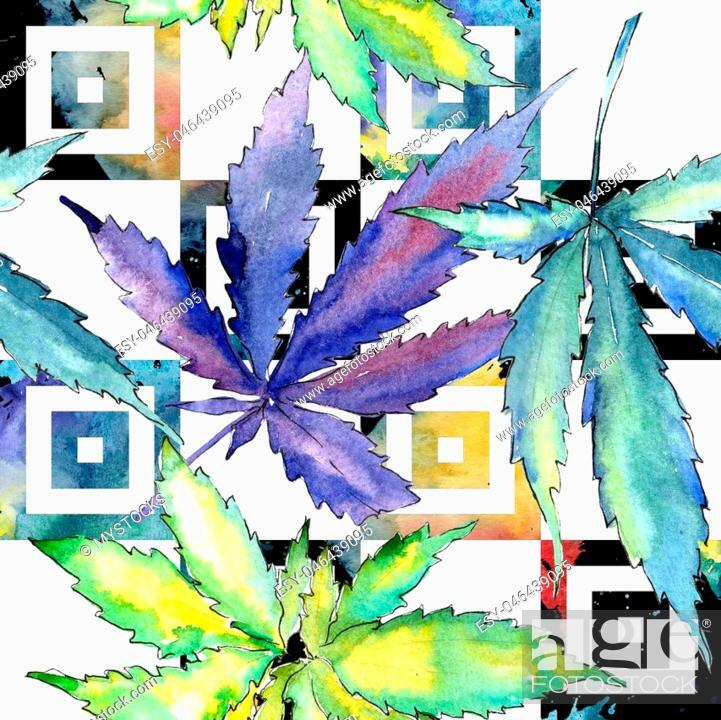 Foto de stock - Watercolor cannabis green leaf. Leaf plant botanical garden floral foliage. Seamless background pattern. Fabric wallpaper print texture. Aquarelle leaf for background, texture, wrapper pattern.